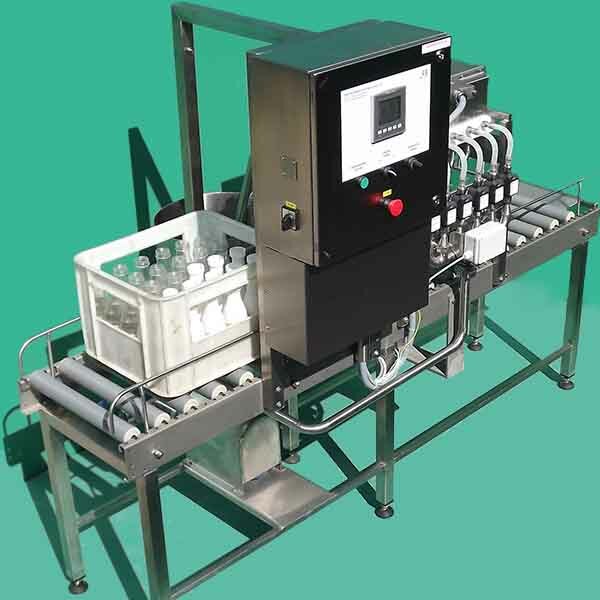 With "UNIFLUX Simultan 4" bottle filling line four bottles per operation are filled simultaneously in 0.2 to 3 Liter returnable bottles (glass or Makrolon bottles) in a crate with max. 4 bottles in a row. Bottles are filled together without removing them from the crate. Crates are stepped by row, four bottles are filled on the same time. 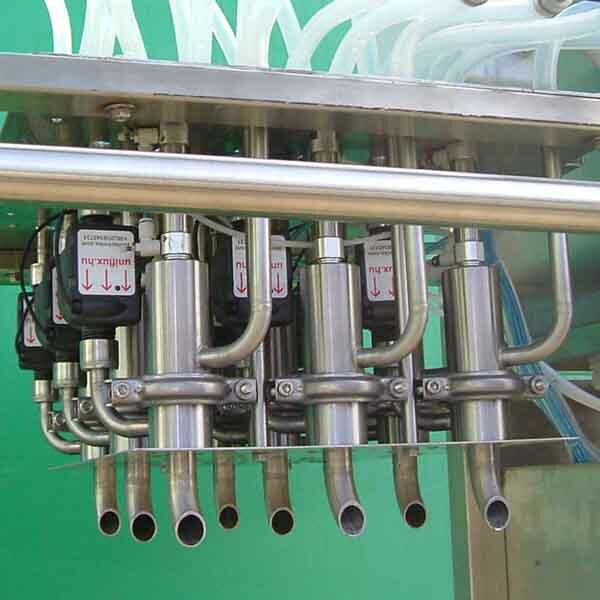 Each bottle is measured with inductive flow measuring (Inductive Flow Sensor). 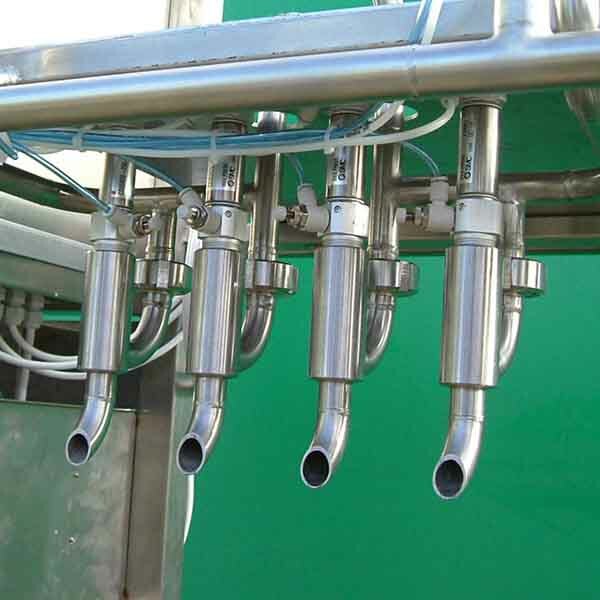 The valve bridge is manually driven (with pneumatic assistance) to set the crate and bottle heights. 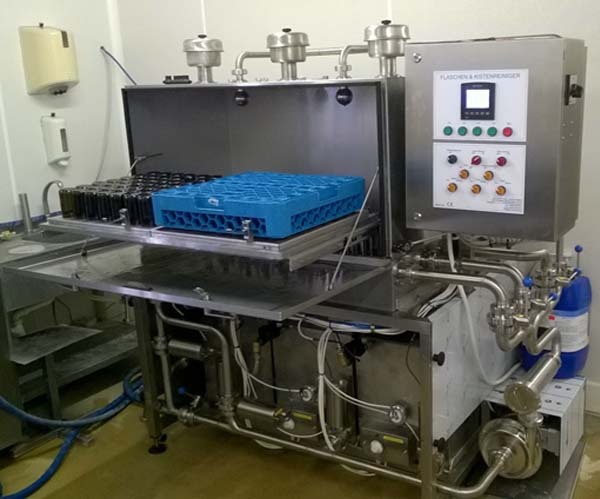 Bottling equipment with piston filling, for a capacity of 600-1400 units/hour. * Marked bottle fillers are also usable as a bucket filler! The bottling equipment is moving the crates horizontally and vertically and the valve group is coordinate controlled as well. The crate styles (4x6, 4x3, 4x5, 3x3) are pre-programmed into the PLC. The crates are fed automatically to the roller conveyor, and removed from the coordinate control. Usual box formats are the 4x6, 4x3, 4x5, 3x3. Bottle capping takes place manually. 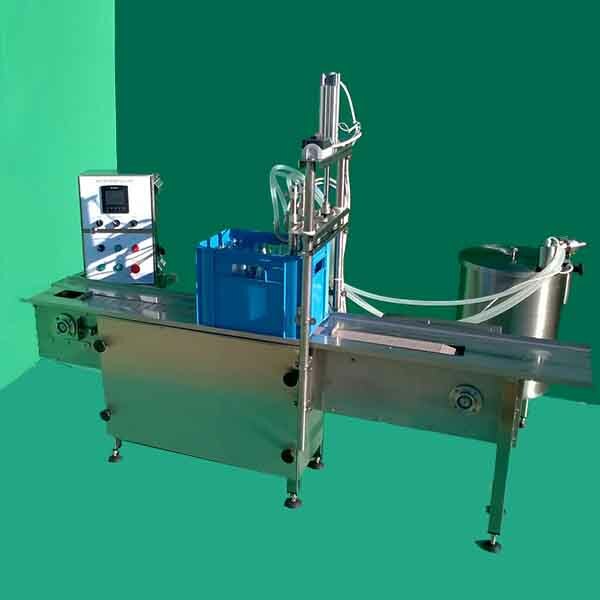 The other specifications are identical to the standard bottle filling machine "UNIFLUX Simultan 4", crate filling system.